This gives me a quick and easy snapshot of how traffic did on this Sunday vs the previous Sunday. As you can see, a very good day, hourly traffic was up almost every hour versus the previous Sunday and traffic for the day was up almost 15% and Avg Session Duration was up over 40%, another huge number. 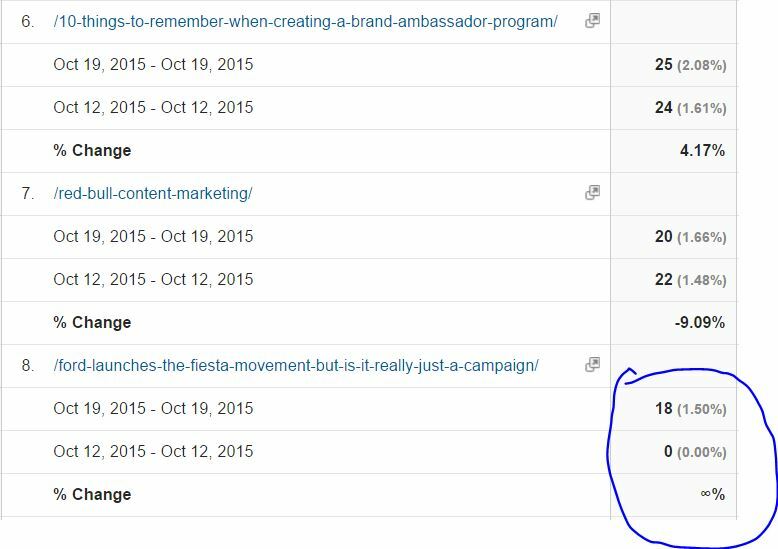 Here’s how you can get this same view for your blog: Click on Audience, then Overview, both on the left side of the screen. The default view is to just show you the previous 30 days before this one. You want to change that view so click on the Down button next to the date range on the top right of the screen. This will open up a calendar showing you this month plus the previous two months. Under Date Range, the previous 30 days will be highlighted. You want to first click on TODAY’s date. Next, click on the small box right under it that says ‘Compare to:’, and it will have a dropdown menu that you don’t want to touch for now. Two new date range boxes will open up under the first two, but they won’t be highlighted. You want to click on the first date box on the left, and then go back to the calendar and click the date for one week earlier. For example, if you are doing this on a Monday, for this you would click on the previous Monday’s date. Click on it again so that the date range you are comparing to is the previous Monday. Then click Apply. It can be a bit complicated at first, but pretty easy once you get the hang of it. As you can see, you can easily adjust the settings to compare this week to the previous week or this month to the previous month, or this year to 3 years ago. Whatever you want. You can see which content is being viewed, from what sources, their location, etc. Also, if you get in the habit of regularly checking this you will get a sense of what times of the day are better for your traffic, which also helps you decide when to publish new posts! 3 – I examine traffic by channel. For this I go back to the week to week comparison. Click on Acquisition, then All Traffic, then Channels. This shows me a breakdown of my traffic by different channel types, such as Organic Search, Direct, Referral and Social. This is very important because if you just look at your overall traffic numbers you won’t get a complete picture. For example, let’s say this Monday’s traffic to your blog was 500 visitors, and last Monday’s traffic was 450. So that’s a weekly gain of about 10%, which is really good. But without looking at the traffic by channel, you may assume that each type of traffic rose by 10%, but it could be that your Organic Search traffic was up by 40% and your Direct traffic was down by 25%. But overall traffic was up. Still, those are big jumps in both directions for your Organic Search and Direct traffic, so it’s worth knowing that so you can keep an eye on both moving forward. So you can see that Google and Yahoo are actually doing way better than Bing is. Now about 90% of the Organic Search is coming from Google for me, but your numbers may vary. If the majority of your blog’s Organic Search was coming from Bing, it would be worrisome to see your traffic from Bing down by 58%! See that post on the bottom, Ford Launches the Fiesta Movement? That’s an old post, but notice it had zero views last Monday, but has 18 this Monday! I would like to know if GA can help me understand why this old post suddenly got a lot of views this Monday, when it usually gets none. Does anyone know of a way to further way to drill down with Google Analytics and figure that out? Those are the 5 main ways I use Google Analytics to get a better idea of the makeup of my blog traffic. What’s your favorite way to use GA? 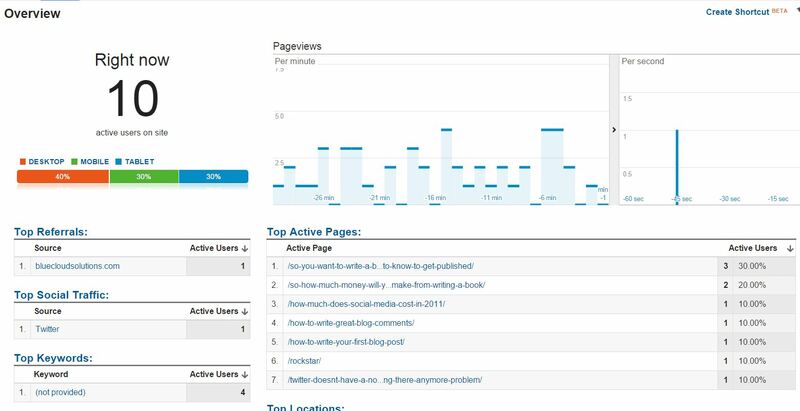 I have Google Analytics for my blogs, but I confess that not give attention. I need to start paying attention Google Analytics metrics. Thanks, Anthony! There’s a LOT of value to be had in GA, this is honestly 101-level stuff, you can get very deeply involved in using GA and get some amazing results. A lot of it is over my head, Google has a lot of instructional videos at their GA site as well, check them out! Thanks for the timely tips Mac! I really need to start spending some quality time with GA. Thanks Steve, it’s a wonderful resource for bloggers and site owners! GA used to be really useful in telling you how much traffic arrived by each search term. Shame that’s gone. I do like your idea of watching what time of day traffic is busiest and publishing then. Obvious really, but then we frequently need the obvious stating. I’ll be working out my busiest hours before my next posts! Hi Keith, I agree, hate that it’s so hard now to accurately judge how keywords or phrases drive search traffic. Good luck with your posting schedule! 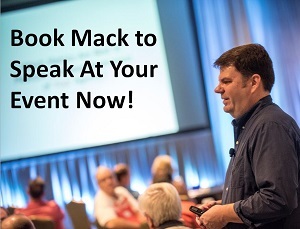 Hey Mack, thanks for sharing your approach – always interesting to follow the thought process as you gather observations from Google Analytics.